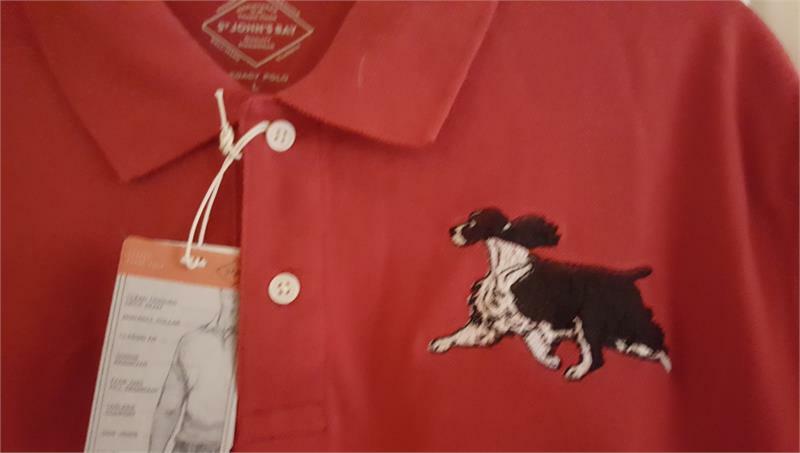 Embroidered black and white trotting springer spaniel. 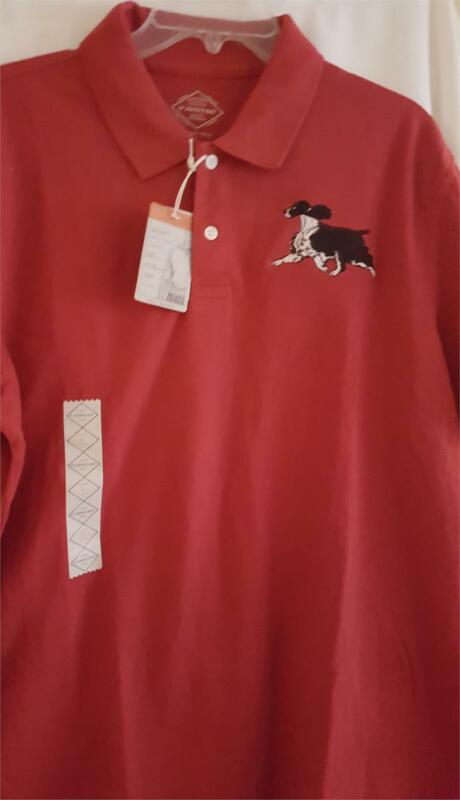 on the front chest of the red Mens polo. 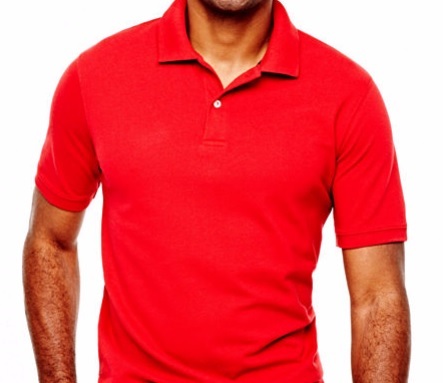 This polo gives you the classic look you love. The all-cotton piqué fabric also resists shrinking and fading.